We are very pleased to announce that Mrs Sara Williams-Ryan has been appointed as the new Head of The Falcons School for Girls. She will take up her new role in September 2018. 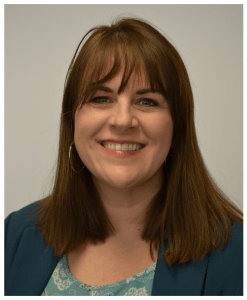 Mrs Williams-Ryan is currently the Assistant Head (Pastoral) at Emanuel School in Wandsworth. Before teaching at Emanuel, she taught at Ibstock Place School from 1992 – 2001 where she was the Head of Spanish and MFL (Modern Foreign Languages). Mrs Williams-Ryan has spent most of her career teaching at secondary level, but has also taught Year 4 and 5 pupils at Ibstock Place and Year 6 pupils at Emanuel and she is looking forward to teaching the older pupils at the Falcons School for Girls when she arrives in September. Mrs Williams-Ryan is an Arts graduate (Licence es Lettres) from the University of Geneva and has a PGCE and an MA in Education. We all want to thank Mrs Ashworth Jones for the outstanding job she has done as Head of The Falcons School for Girls, and we are grateful that she will continue as Head until Mrs Williams-Ryan takes up her post. The Falcons School for Girls is a warm and caring school, which takes great pride in developing the girls into happy, confident individuals ready to meet new challenges in their senior schools.